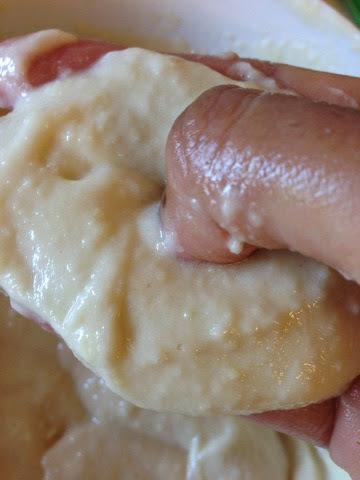 Grind soaked urad daal without or very minimum amount of water to a smooth batter. 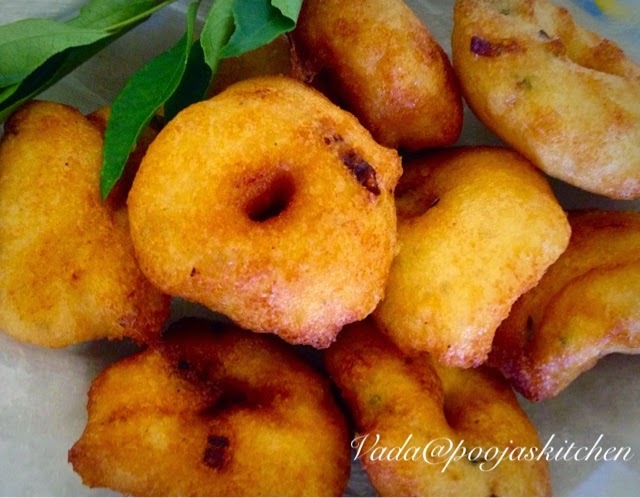 Using less amount of water is a key to make crispy and less oily vadas. Add green chillies, curry leaves and pepper and leave in fridge for 1/2 an hour. 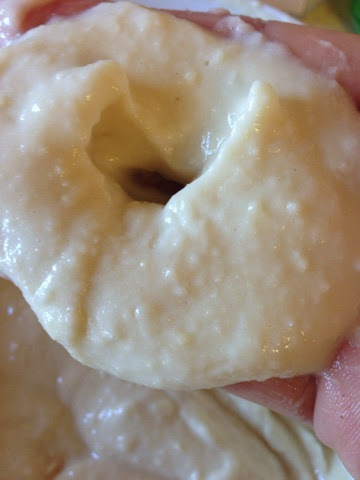 It is good to add onion and salt just before frying as these things make batter little bit watery. 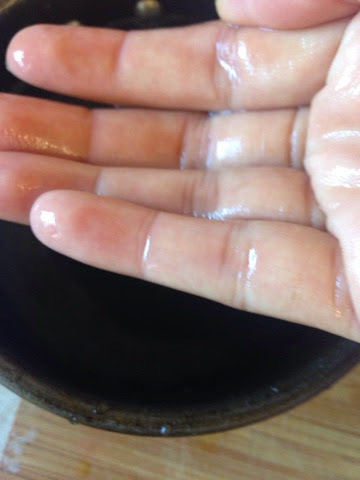 Wet your clean and washed hand in clean water. 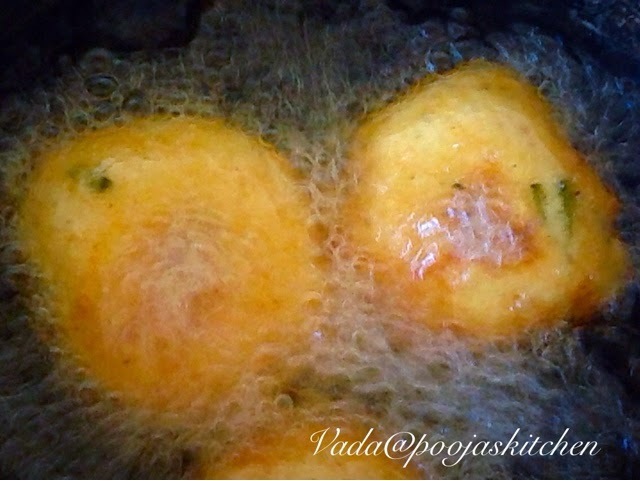 carefully drop vada in oil. repeat process and make 4 vadas in one time. 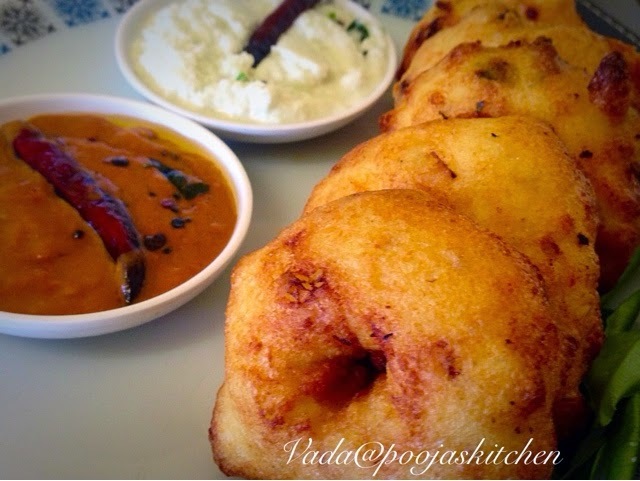 Do not over crowd the pan as it changes the shape of vadas. Fry till golden brown. Take out on absorbent paper and serve hot with sambar and chutneys.